This past weekend was a mighty busy one for me as I attended my 35th class reunion on Saturday night, and then spent the entire day Sunday with my college roommate antiquing out in Lancaster County Pennsylvania. 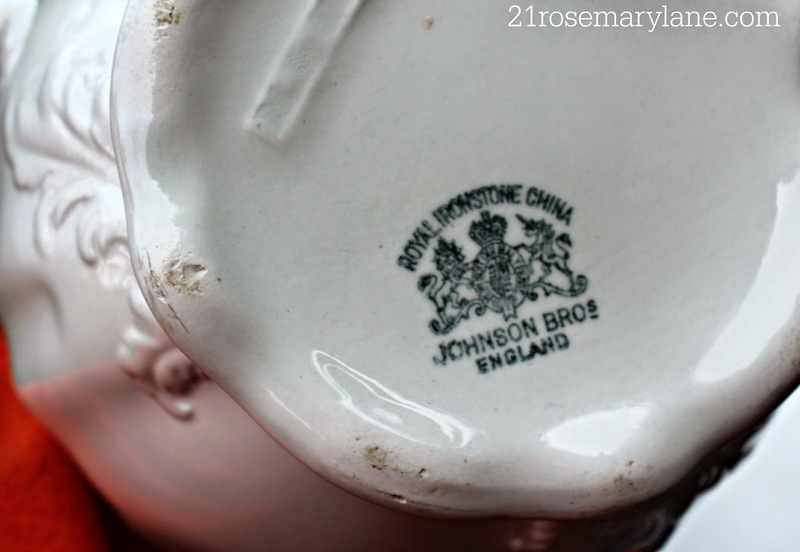 I only picked up one item there and it was this beautiful ironstone pitcher and basin. 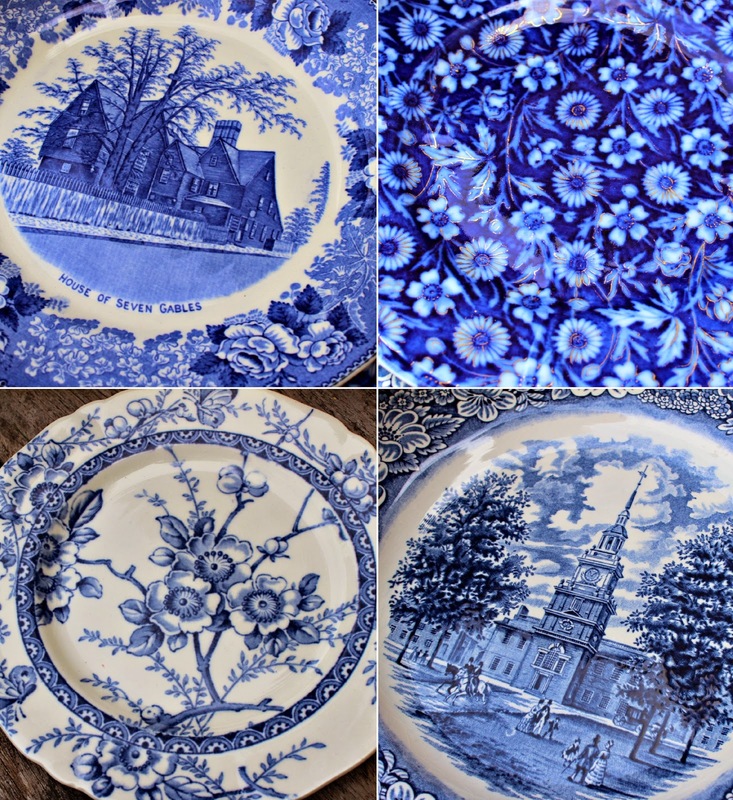 However before I even got out to Lancaster I was at my sister Kim's house where she gifted me 4 pretty blue and white dishes she had picked up at an auction for only a dollar. They were all crafted in England! 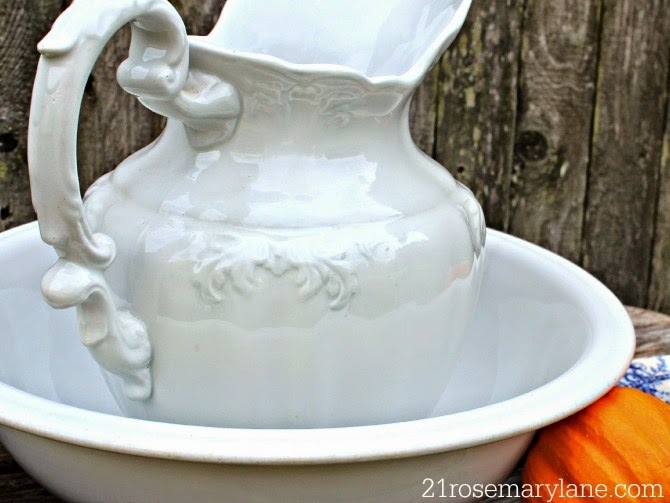 I am very excited about my new pitcher/basin combo, it is so perfect for our home. And what a glorious autumn day I spent milling around the different tables of the antique market, as they were filled with wonderful old pieces of just about everything. Thank you too to my sister Kim for the beautiful dishes...I simply love them! I love that pitcher and basin. It has such a beautiful sheen to it. Your pictures are so lovely. WOW great find and super gift from your sister. The photo's are really good. I love your new treasures Barbara and can't wait to see how you display them!! Beautiful find! And beautiful gifts from your sister. 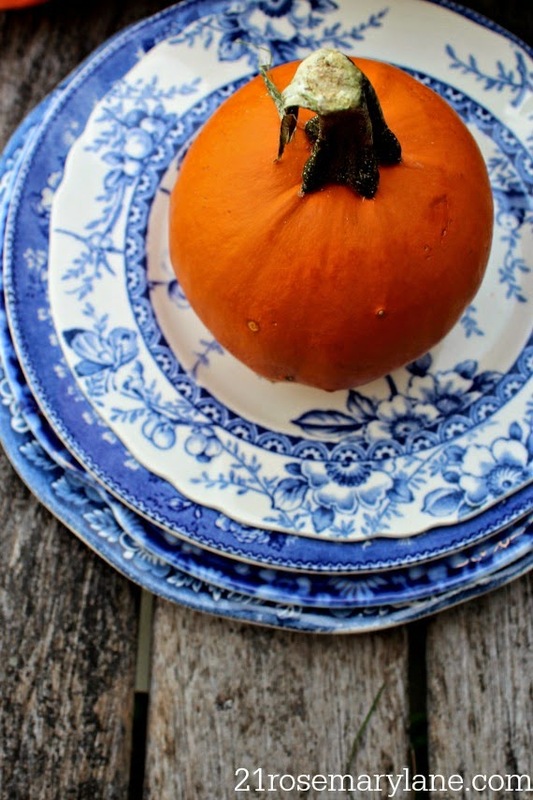 Love the way the blues and orange or the pumpkin complement each other. And you can never go wrong with Ironstone. Hi Barbara, Thanks so much for coming by and taking the time to leave a comment. I appreciate every one of them! Your blog/website is beautiful! I'm in LOVE with your antique market find. 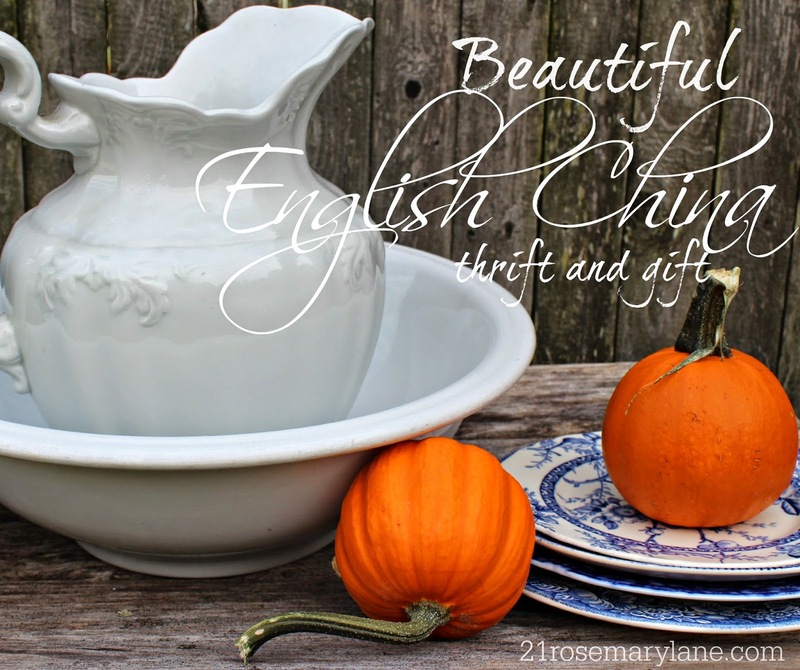 Your new English Ironstone piece is beautiful! 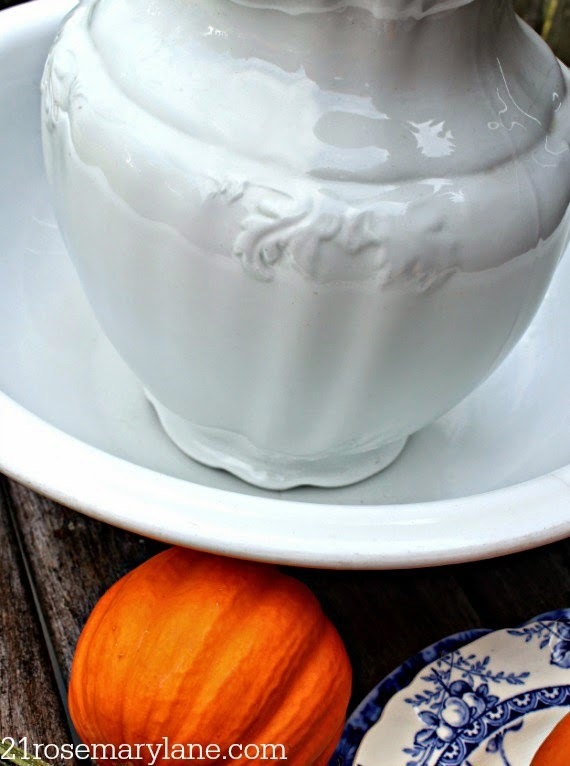 I've also been a big fan of pairing orange pumpkins with blue/white china this year. So so pretty! 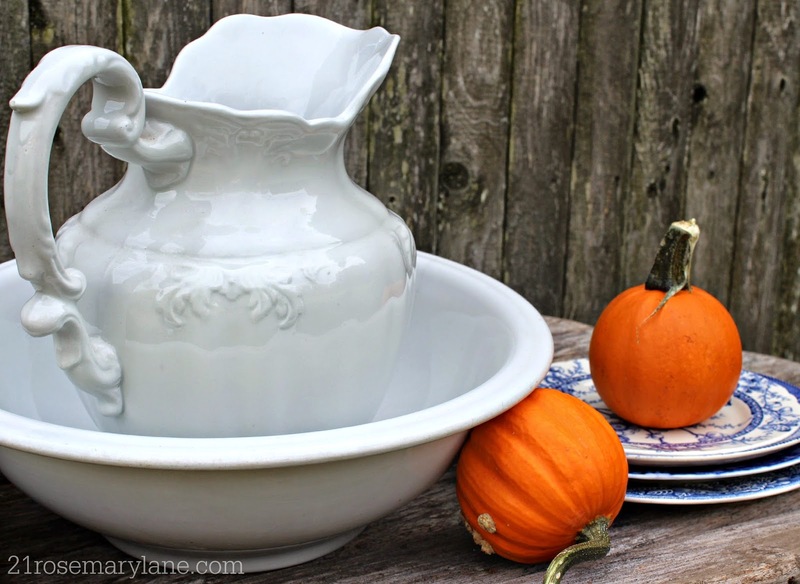 Barbara, The pitcher and bowl are beautiful and what a deal! 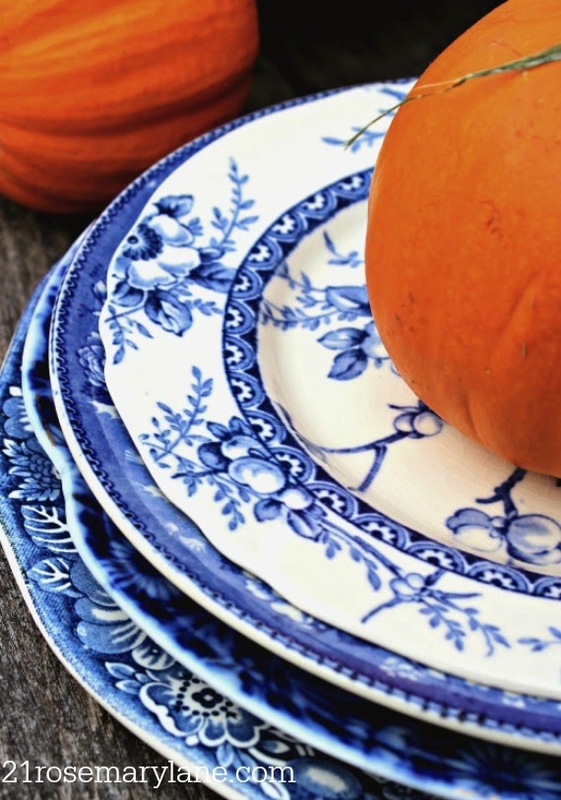 I am such a fan of blue and white so of course I love the plates.